When used with a microSD card (16Mb up to 8Gb), the IP Camera does not need to be connected to a network or the internet to store motion alerts or streaming video. The videos or images can be stored directly on the microSD card and later downloaded to a computer for viewing. The MicroSD memory card slot can be found on the bottom of the camera. 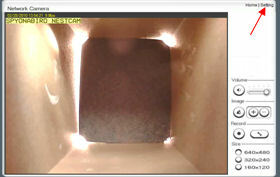 To activate the SD functions, insert a micro SD card and reboot the camera under setting in the camera window. You will need to enter the administrator ID and password. Click reboot and wait 30 seconds for the camera to come back on. 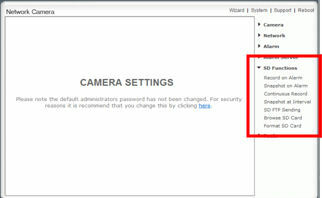 Once the camera reboots, login to setting. 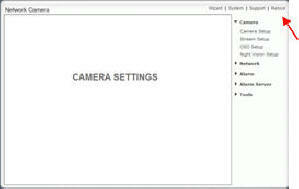 You will see additional functions related to the SD card. Format the MicroSD card before first use. Do not modify, overwrite the data or change the folder names on the MicroSD card after formatting. These directories are necessary for proper function. 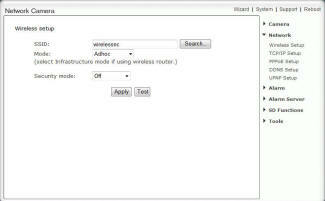 If using the camera as a standalone (not connected to a router or a computer), change the wireless mode to Adhoc. This can be found under Network -> wireless.